Soy extranjera en una tierra nueva. I am a stranger in a new land. I am in Spain. I am not of Spain. I tread lightly, fearing to make a mark. I tread heavily, fearing to be disengaged. The newspapers inform but they do not explain. They do not explain the private impact on my neighbours’ lives. To me, the early almond blossom suggests a walk and a photograph, good or bad. To my neighbour it dictates the summer harvest and the winter’s income, good or bad. I hear and understand conversations in which I am involved. I hear but do not understand the rapid buzz all around me in which information is being exchanged, feelings shared, emotions glimpsed. Soy extranjera. I read, ingest and consider all I can. My mind knows and understands the turmoil of 20th-century history in my adopted homeland. My heart feels for the people, but my heart cannot feel what they feel. I understand why that family does not use that shop. I understand why that man does not visit that bar. I understand, I try to feel it, but I do not share that pain. I was not born with the experience of war, of tyranny, of neighbour turning on neighbour. Their experience is not my experience. Their history is not my history. 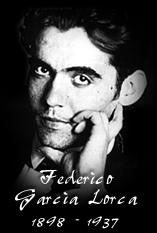 Their children grow up with the poetry of Lorca, and the writings of Cervantes, Márquez, Mendoza, and Carlos Ruiz Zafón. Not Shakespeare, Dickens, Enid Blyton or Winnie the Pooh. The universal experience of childhood is divided by twelve hundred miles and a different frame of reference. My heart enjoys but does not stir to the music that stirs their hearts. Soy extranjera. I can adopt patterns of behaviour, later mealtimes, summer siestas. I can take part, be engaged, walk alongside my neighbours, cheer their sporting triumphs. I cannot walk in their shoes, I cannot live their lives, I cannot leave behind my own history, my own experience. Expats, foreigners, immigrants. Just words for strangers. Just words for people who previously had been somewhere else. From somewhere else to here. And here we are, strangers in a foreign land, surrounded by people whose shared experience we do not share. Soy extranjera en una tierra nueva. Over time conversation becomes easier. Groups and higher volume continue to exclude. The larger the crowd, the louder the conversation, the more the words run together and become no more than sounds, noise. A bubble forms around me and the noise creates a cocoon of silence in the middle of the swirl of language. In a foreign land it is easy to be alone in a crowd and allow the stream of words to wash past, unaware of nuances. I discover that this creates more time, more thinking time. In the past, when I have had foreigners as neighbours, have I been as patient as my neighbours are here? Did I check they had candles in their first power-cut in a new country? Did I call round to explain the notice in the letter-box? As winter approached, did I ask if they knew where to get fuel? Did I offer food and drink in the chaos of their unpacking? Where I may have failed others in the past, my Spanish neighbours did not fail me. Soy extranjera, yet I have not been treated so. My questions have been answered kindly, they have educated the ignorant stranger. They do not understand what it is I do not understand – my lack of knowledge at times amuses them, and at times must appal them. But despite the yawning gaps, we rub along. We exchanged gifts on Kings’ Day, the women and I share occasional morning coffee on the pavement in our dressing gowns, and now in a power-cut I too can offer candles and matches. Soy extranjera. I will always be the extranjera in our street. And there’s nothing wrong with that. Because this is home now. This country, this region, this village means the world to me. I never believed it would be easy. I just knew it would be worth it. This entry was posted in Spain and tagged Almond harvest, Andalucia, Axarquía, Colmenar, extranjera, immigrants, Spain, SpanishBlog, Tamara Essex by tamaraessex. Bookmark the permalink. Oh thank you Lynsey :-). But I hope you don’t regret living in your beautiful hamlet? There are pluses and minuses in all the styles of living, aren’t there? It’s all a matter of knowing whether you are a campo person, a village person, a coastal resort person, or an urbanisation person. This is an excellent piece Tamara. Really sums up how I often feel after 8 years in Spain! This is so beautifullly expressed, Tamara, it brought a tear to my eye. I really enjoy following your “journey”. Thanks Roberto. I was genuinely nervous about publishing this one. Potent stuff, Tamara. It pretty much sums up my nine years in Gran Canaria too. Thanks Matthew. That means a lot coming from a professional! You’re welcome, Tamara. What do you mean by pro? Really well-written and moving account. Also brought a tear to my eye. I would just like to say that it also works the other way. THe old no-man’s / woman’s land syndrome. 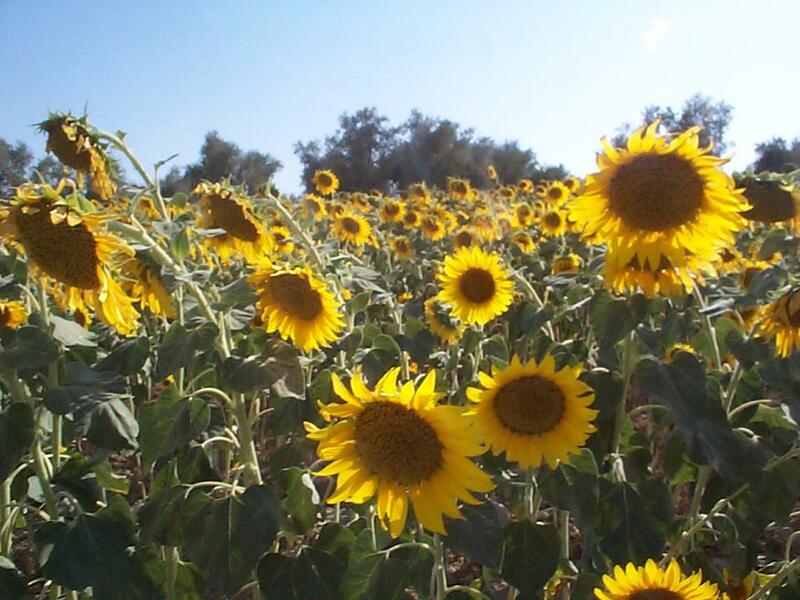 For now, I often feel the same – an outsider / on the edges – when surrounded by my own fellow-countrymen/women – though not of course among old friends and family back ‘home’ or among my UK-born friends who live in Spain. You cannot leave your own culture and history behind ever, but as that culture also continues to change and to shape the way people are with each other, the way they interact, the things that are important to them and so on, and as your foot becomes more and more rooted in the ‘adopted’ culture, the less you ´belong’ anywhere. After more than two decades in Spain, I still,, very occasionally, get that ‘bicho raro’ / lonely in a crowd sensation when I’m the only ‘guiri’. But I also get it when I’m back in Blighty, and I especially get it here – when surrounded by expats who divide the world into ‘us’ and ‘them’ and who are a million miles away from your throw-yourself-into-everything, open-your-heart-and-mind approach to life here, Tamara. Hi Tamara, beautifully written and obviously heartfelt. After 9 years I am still struggling with the language and, as you point out, the very different cultural references my Málagueño neighbours live by. When I lived in Lanjarón, near Granada, I was the extranjera ‘mascot’ vecina for some very dear old women in my street. Even now I’ve moved away, they greet me on my visits like a long-lost daughter, ask after my husband, who never spoke a word to them, and pat my hand many times before letting me go. To them, I am ‘guapa’ forever! I wish you all the best, and will look out for your writing. Thankyou Tamara for sharing, it certainly bought tears to my eyes, but not only that it has made me think about my short time here in Spain (2.6 years) it’s been a rocky road but I’m getting there!! Hi Tamara – I’ve just realised that I left my comment on the Eye On Spain website, so it doesn’t appear on your blog. So I will repeat what I said: thank you for a really lovely piece of writing. I am quite a few years away from being able to make the Great Move, but a big chunk of my heart already belongs to Spain, and this piece went straight to it. I have been teaching and studying Spanish and Hispanic Culture all my adult life, and visit Spain at least six times a year, and I must commend you on how perfectly you have managed to capture and express that bitter-sweet condition of being ‘in but not of”. I am always telling my students that their studies will never end: no matter how fluent they become, they will be learning this language for the rest of their lives – as will I. And, as you have said so beautifully, no amount of immersion in this wonderful culture can erase our ‘otherness’: the important thing is to accept that and understand, as you so wisely say, that it is actually OK. Thanks Alma – and I really hope you get here soon 🙂 Keep in touch! I will keep in touch! I have already read all the entries in your blog and I love it and love your attitude! Unfortunately work and responsibilities are going to keep me in Ireland for a long time yet, but I already have my little patch of paradise in Moraira on the Costa Blanca and will be there for a glorious week’s break seven days from now, so no complaints. So beautifully written Tamara! I had a tear in my eye and just wanted to cry! I don’t know why- but maybe because you touched a chord in my heart ! Spain has always held a special place in my heart and I just love everything about it- the people, the culture, the food, the climate and the country! It is my dream to be an ‘Extanjera’ one day- but until then, I will just have to be ‘una tourista’ and visit different parts of the country as much as I can! Keep writing….. I feel the same as many people – it makes emotional reading. You capture everything so completely. Your blog never fails to be thought provoking for a long time after reading it. Thank you. That is all so true.I have longed to live in Spain and now it seems to be coming true. I lived in Australia 47 years but never ever felt a sense of belonging. I always try to keep a positive attitude and a genuine smile. 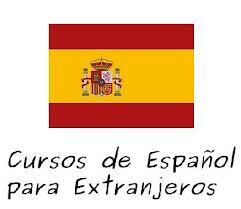 I will learn Spanish and think that is important.